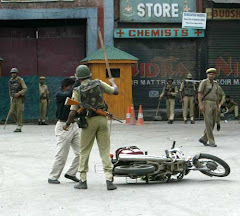 Srinagar May 30: At least 25 persons were injured during massive protests i n South Kashmir’s Shopian area after two women were mysteriously found dead. The locals alleged that they were raped and killed by troopers while the authorities said opinion could be framed only after completion of investigation. The residents of Arhama village of Shopian said Nelofar Jan, 22 and her sister-in-law Asiya Jan 17 went missing mysteriously from their orchard in the village. 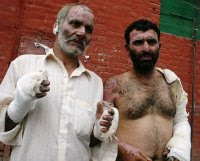 “Their orchard is located at Nagbal and they had gone to sow vegetable seeds on Friday 4.30 pm,” neighbor of Asiya and Nelofar, Owais Ahmad told Rising Kashmir. “When they did not turn up till 8 pm we called on their cell and they told us that they were on way to home and will be reaching within 15 minutes. When we called them again, we got the response that subscriber is switched off. We got suspicious and informed our neighbors about the matter. We went to the garden and searched for them the entire night but failed to trace them out,” said family members of the deceased. Owais said after failing to locate them, Shakeel Ahmad - husband of Nelofar - lodged a report with police that his wife and sister Asiya were missing since Friday. “Police along with family members and villagers launched large scale search operation to trace them out,” he said. Another villager, Ashraf Wani said that at around 3 am on Saturday, police and locals found body of one them lying in Rangyari stream. “Another body was recovered at 6 am from the same stream,” Ashraf said, adding, “The stream is very shallow and a child can wade through”.The residents said clothes of the both ladies were torn. “There were also some marks around there necks. It seemed they were strangulated to death,” said the residents, who had seen their bodies.The villagers suspected that the due were killed deliberately after molestation. 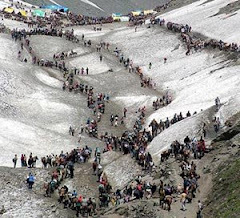 “Many such cases have taken place here in last one month and we suspect the involvement of troopers in the killing of the two women,” alleged the locals.After retrieving the bodies, the locals took them to a hospital for conduct of post mortem. “The doctors in the hospital did not hand us post mortem report. 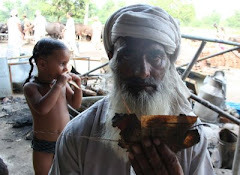 This led us to believe that the women were raped and killed by the troopers,” another resident Nisar Ahmad said. 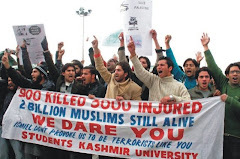 He said, “We kept the bodies in the hospital premises and refused to leave until a team of doctors from outside conducted the postmortem.” Later, a team of doctors was called from Pulwama to conduct the postmortem. 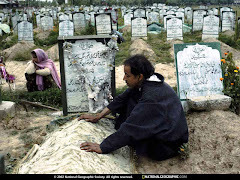 Afterwards, people buried the bodies in a local graveyard amidst pro-freedom and pro-Islamic slogans. “If there was nothing suspicious why did local doctors refuse to make the post-mortem report public. When we insisted them to reveal the report they fled from the spot and this made us more suspicious” said a villager Mushtaq Ganai.Brother of Asia and brother in law of Neelofar, Riyaz Ahamd told Rising Kashmir that the way to their garden, which is located on the other side of the stream where the bodies were found, passes through the CRPF camp. 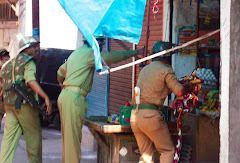 “We apprehend the involvement of CRPF personnel in their killing,” he said.Riyaz said, “At 8 pm they talked to me very over phone and told me that they were on their way to home. When I called them again after 15 minutes their phone was switched off. The injury marks on their bodies make it clear that they were killed,” he said, adding, “We want that the culprits should be exposed and punished severely. 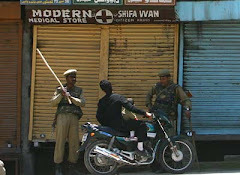 Protests and clashes Hundreds of people assembled at Shoipan market and staged demonstrations (PHOTOGRAPH ABOVE SHOWING WOMEN PROTESTORS BEING BEATEN TO PULP BY CRPF PERSONNEL AT SHOPIAN). 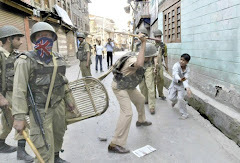 Raising pro-freedom and anti-army and anti-CRPF slogans, the protestors were demanding action against the troopers involved in the incident. The slogans like “Produce the killers” and “We want justice,” rented the air. 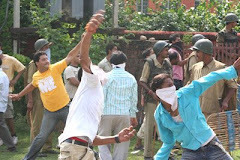 The protestors pelted stones on Deputy Commissioner’s office and hospital. They damaged several vehicles and flogged doctors. 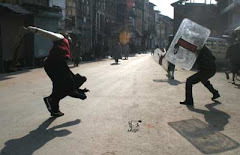 A contingent of police rushed to the spot and resorted to heavy baton charge and fired dozens of tear smoke shells to disperse the agitating people, who retaliated by hurling bricks and stones towards them. 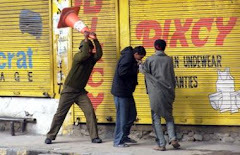 At least 25 persons including some cops were injured in the clashes, which continued for couple of hours.After the clashes and protests, authorities imposed undeclared curfew in some areas of Sopore to prevent people from taking to roads and protesting against the death of two women. 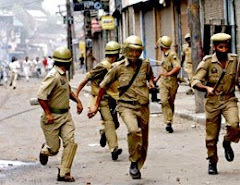 The strength of police and paramilitary personnel were increased in the sensitive areas and people were not allowed to venture out of their homes. Official speakPolice said after receiving the complaint about the missing women, SHO Shopian alongwith 10 locals launched a search operation to trace out the duo. 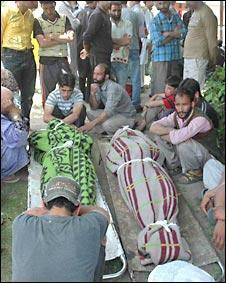 “During the searches, the bodies of the missing persons were recovered from Rambi Arra Nallah Saturday morning and brought to the District Hospital Shopian for postmortem,” SP Shopian Javed Matoo told Rising Kashmir. About the post mortem report, he said, “The doctor after examining the body said that no physical injuries or torture marks could be established”.He said when people came to know about it, they took to roads and staged violent demonstrations. “They resorted to arson and manhandling of hospital staff. 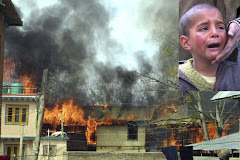 Besides damaging the hospital property, they attempted to set ablaze the hospital,” SP said. 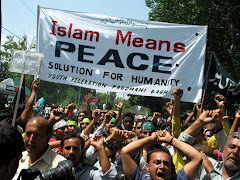 He said afterwards police swung into action to disperse the agitated mobs. “The people came back to us and requested for independent probe,” Matoo said, adding, “DC Shopian called a team of doctors from Pulwama to conduct post mortem once again”.He said the report are awaited and will be submitted to them by Monday.“It is too early to ascertain the cause of death. 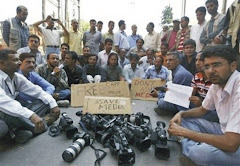 We can frame opinion only once the circumstances of deaths are fully investigated”.When told that the locals are accusing CRPF of killing the women, the police officer said, “The CRPF camp is located at least at a distance of more than one km from the place where the bodies were recovered. We cannot accuse them of being involved in the incident. 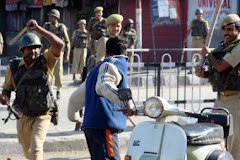 A civilian can also commit such a crime,” he added.SP Shopian said police have lodged the FIR into the incident and initiated the inquest proceedings under section 174 to ascertain whether the two women were murdered or died natural death.CRPF spokesman Prabhakar Tripathi termed the allegations wrong and totally baseless. 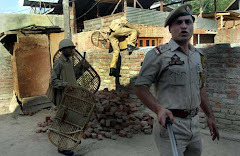 “CRPF men are not involved in the incident,” he said.Geelani calls for shutdownHurriyat conference (G) chairman, Syed Ali Geelani has appealed people to observe strike on Monday to protest against the killing of two women at Shopian.Geelani termed the incident as ‘barbaric’ and ‘shocking’. 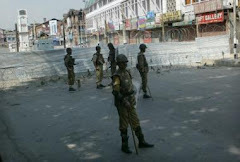 “The incident is condemnable in strongest possible terms,” Geelani said and urged people to observe complete shutdown on Monday to protest against the killings. 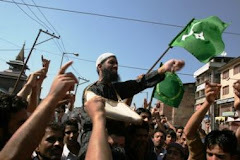 He said people in Kashmir have no other option than to stage strikes to protest against the ghastly killings of two women. “Our criminal silence would conceal the accused. 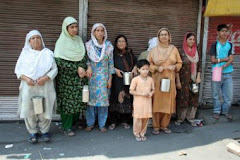 So we should peacefully protest against the incident and observe strike,” added Geelani.Several separatist and mainstream parties including Hurriyat Conference (M), JKLF, JKLF (Rajbagh) Muslim League (Rajbagh), High Court Bar Association, PDP and Mohammad Yousuf Tarigami have strongly condemned the killing of the women and demanded a thorough probe into the incident. 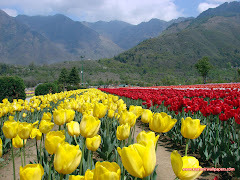 Srinagar, May 31: The locals and the family members of the two women who were raped and killed allegedly by troopers Sunday claimed that the doctor who examined the bodies of the duo disclosed that they were “gang raped” and tortured to death. Bodies of two women identified as Nelofar Jan, 22 and her sister-in-law Asiya Jan 17 were recovered from a stream at Arhama village in Shopian on Saturday morning. 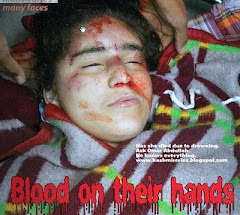 The locals have alleged that the two were raped and murdered by the troopers stationed in the village. “On Saturday a lady doctor accompanied by Chief Medical Officer Pulwama examined the bodies of Neelofer and Asiya in District Hospital Shopian. 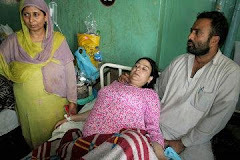 When the lady doctor came out after examining the bodies she remained silent and did not utter a word,” the locals told Rising Kashmir over phone. They said, “We insisted her to tell the truth. Neelofer’s father and some locals brought a copy of Holy Quran and asked the doctor to swear by it. She broke down and revealed that the two ladies have been gang raped by at least 15-18 persons”. The family members of the victims said their bodies were having ‘nail scratches’ and ‘bruises’. 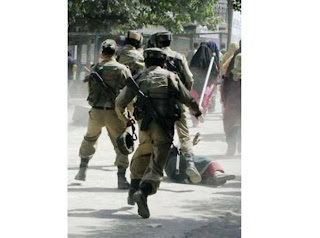 “I saw Asiya’s body without clothes and draped her with my shirt. 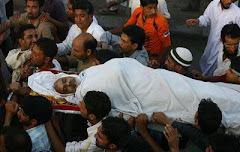 Some 200 meters ahead, I found body of Nelofar in the same condition,” brother of Nelofar, Zahoor Ahmad told Rising Kashmir over phone. He said there were visible scratch marks on their bodies. 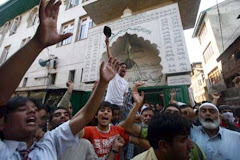 “It seemed they were murdered brutally,” added Zahoor. Nelofar’s husband, Shakeel Ahmad Ahangar said, “At around 8 pm I contacted my wife on phone and she said that they were on their way to home. When I again tried to call her, her mobile was switched off. We searched them in the area throughout the night without any success”. He said, “I made more than 30 rounds of the area in the night where from two bodies were found later. I couldn’t find anything till 3.30 am Saturday”.